It was my birthday, so of course we went out to eat. I probably would’ve chosen Drink Art for a special dinner, but since it was Monday, they were closed. Drat. So we went to one of my other favorite places – Ru San’s. I never had sushi before Seth and I started dating, and Ru San’s was one of our date spots early on. I learned how to use chopsticks there, and Seth only laughed at me a little bit when I dropped food repeatedly. Ru San’s has a very large selection of vegan options, but we always get the same few things: miso soup, mixed vegetable tempura maki, and fried garlic maki. We’ve recently started getting the inari tofu nigiri and Age Dashi Tofu as well. 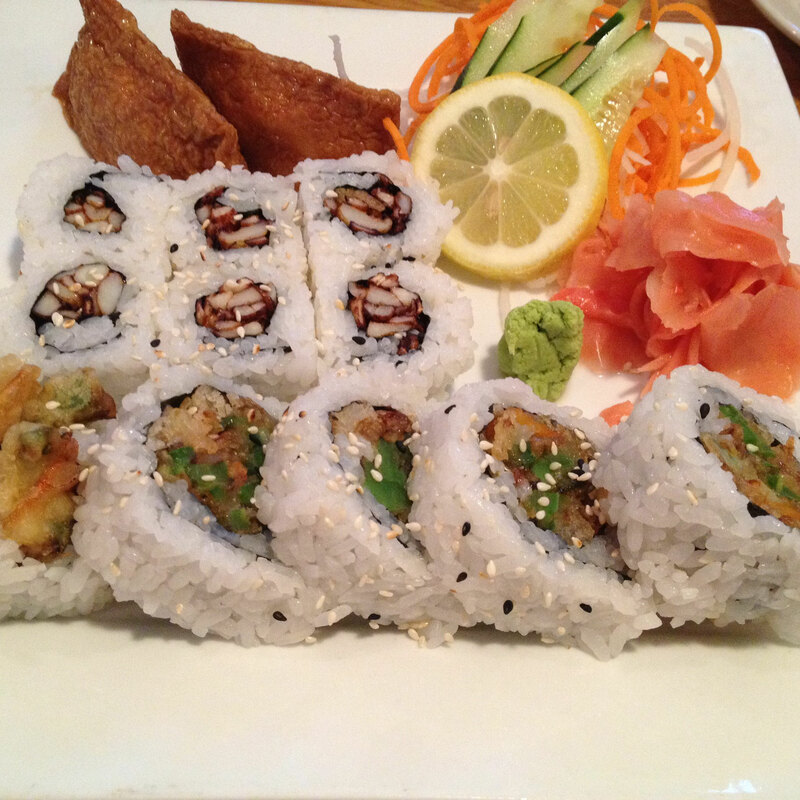 The tempura maki pieces are pretty large, and are so, so good. I can’t say no to fried garlic. Seriously – whoever thought this one up was a genius. 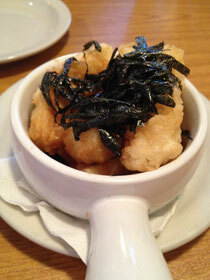 The Age Dashi is a battered & fried tofu dish served in an amazing broth and garnished with a little bit of seaweed. So good. And the tofu nigiri is a little pouch of thin tofu, filled with rice and served cold. 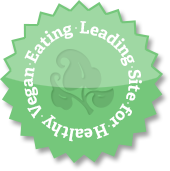 There are tons of other things on the menu for vegans, including the asparagus roll, which is also really good. Thankfully, Seth didn’t tell them it was my birthday, so there was no loud singing at the table.